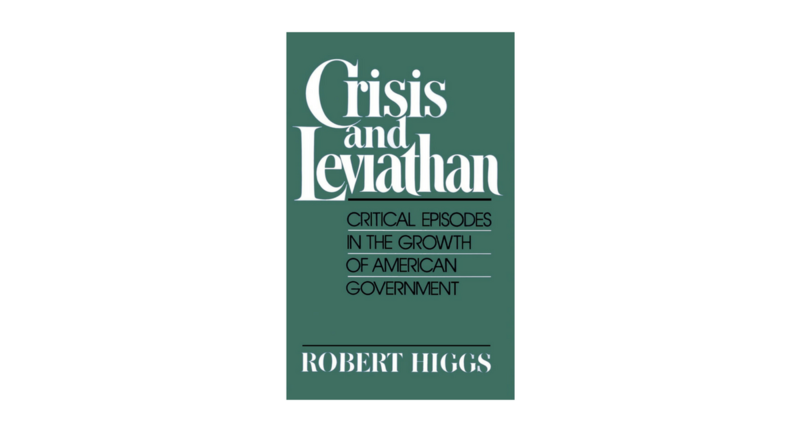 This year marks the 30th anniversary of Crisis and Leviathan: Critical Episodes in the Growth of American Government authored by Robert Higgs. In his classic book, Bob offers a novel, and still relevant, explanation for the growth of the American government during the twentieth century. According to Bob, “Big Government” emerged as a result of government responses to national crises including the Great Depression, the two World Wars, and the Cold War. These crises led to expansions in both the scale and scope of government, leaving institutional precedents which remained well after the emergencies had ended. These expansions included the creation of government bureaus and increases in budgets, but also changing attitudes toward the role of government and the appropriate relationship between citizens and government. Bob’s comprehensive, multi-disciplinary ratchet effect framework offers insight into permanent expansions in all aspects of government, including reductions in the liberties of citizens. Among the many novel insights in Crisis and Leviathan is the role that ideology plays both during times of crisis and also in the wake of emergencies. Within Bob’s framework, a crisis, by itself, is not enough to generate permanent expansions in government. When a national emergency occurs, the ideological climate will either serve to check government, or it will create an environment conducive to increases in the scale and scope of government. While a certain ideology is required for expansions in government during emergencies, government’s crisis-related activities also influence ideology post-emergency. For expansion, new intrusions into the liberties of citizens implemented as emergency measures can become normalized and remain in place after the crisis ends. In the post-9/11 world, the insights in Crisis and Leviathan are as relevant today as they were when they were first written in the 1980s. The ongoing “War on Terror” has created an environment conducive to expansions in all aspects of government. Bob’s framework is crucial for understanding these expansions and their long-term effects on the fabric of American society. Bob was the F. A. Hayek Distinguished Visiting Professor with the F. A. Hayek Program for Advanced Study in Philosophy, Politics, and Economics at the Mercatus Center at George Mason University during the 2015–2016 academic year. 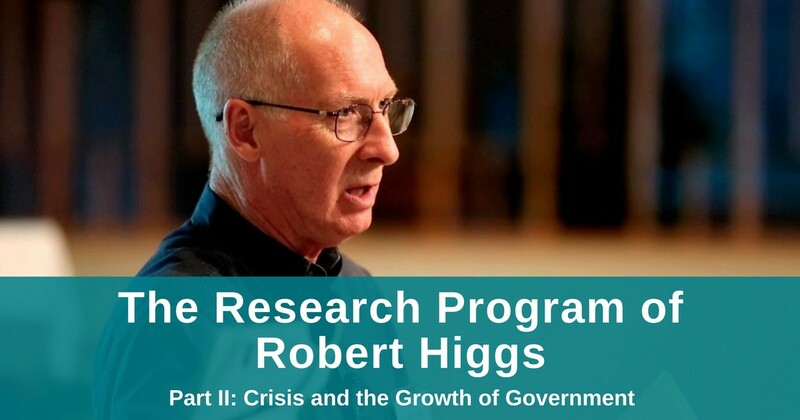 During his time at GMU, I had the opportunity to sit down with Bob and discuss some of the central insights and arguments of Crisis and Leviathan. In this first video, Bob and I discuss the underlying logic of the ratchet effect framework. In this subsequent video, we discuss retrenchment following an emergency as well as the institutional possibilities and precedents created by government responses to crises.